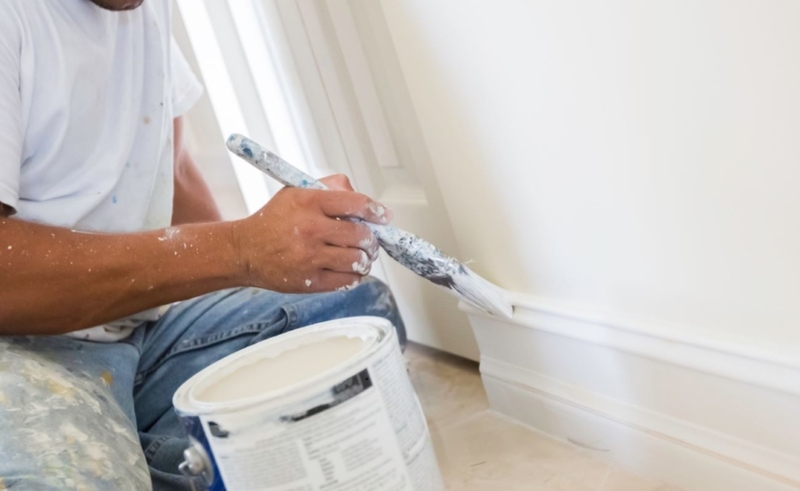 You know having the right paint for the job is essential and that your prep work is critical. But application tools matter too. Your brushes and rollers help you produce beautiful work and can impact the time you spend on a project. So we asked six pros about their favorites. 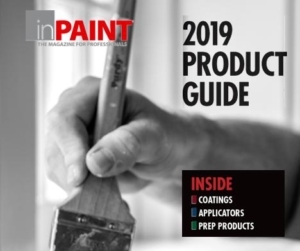 As the owner of Quinn’s Painting in northeastern PA, Josh Quinn has one favorite line of brushes for most jobs—Purdy Chinex brushes, which are designed for use with oil-based paints, solid stains, and textured paints and compounds, as well as water-based primers/sealers and urethanes. He and his team like the Dale and Glide brushes for trim and the Swan for walls. The owner of KB Designs in Duluth, MN and founder of the inspirational ArtFusion Event and Faux Retreat, Kathy Boyd loves the way Zibra brushes fit in her hand. “They’re great,” she says. 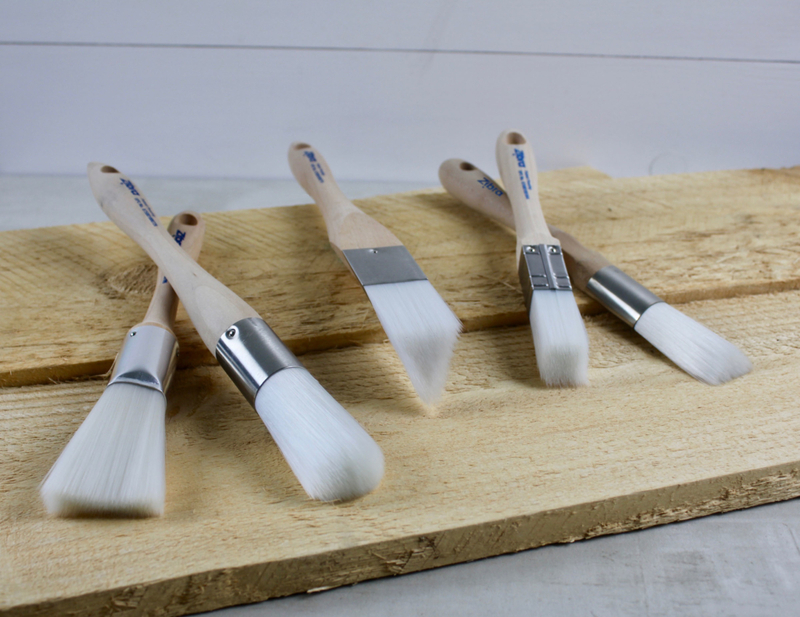 “I find they have a smooth application, and they hold paint very well.” Her favorite is the 2″ Chiseled Wedge, but the Square and Triangle brushes have a place in her collection as well for detail and touch-up work. “No other brushes have the angles Zibra does,” she adds. Boyd, who specializes in decorative finishes and restoration work, has used her Zibra brushes with an array of materials including acrylics, chalk paints and metallics. You can also find her painting with Earth Tones brushes (a Sherwin-Williams brand), which are made from recyclable and renewable materials. And when a roller is called for, you can bet on Boyd using her Shur-Line Twist-N-Reach Extendable Roller Frame, which lets her navigate spaces with ease. Owner of RWC Painting & Decorating outside of Chicago, Roger Coulter says the Proform Picasso 2-1/2″ Oval Angled brush is his team’s go-to. “What we like about it is how much paint it picks up and releases and how sharp of a line it cuts,” he says. “They last about five to eight jobs, but the efficiency pays for the replacement of those brushes. We’ve been using that brush type for three years, and we’ve experienced dramatic productivity increases.” Other brushes, he says, might last longer, but don’t retain the pickup and release. His favorite roller cover is the ArroWorthy Microfiber with a 9/16″ nap. Moore Painting & Pressure Washing has served homeowners throughout central Mississippi since 1976. In 2008, Ryan Moore took over the family business from his dad. Both father and son, he says, are Purdy fans. And on exterior projects, he turns to their Clearcut Elite Swan, a stiffer brush that Moore says holds a lot of paint. When choosing rollers, he opts for Purdy Colossus roller covers (size and nap will depend on the job and substrate). Why the Colossus? “They last,” he says. The owner of Deskins Painting Service near Charleston, SC, Shawn Deskins has two go-to brushes for all of his jobs. He likes Purdy Clearcut Elite brushes for their durability, and for higher-end projects, he turns to the Wooster ALPHA, a synthetic-blend brush. “It holds more paint, goes on smooth, and cleans up well,” he says. Since painting surfaces come in many shapes—flat walls, narrow window grids, spindles, moldings, etc.—doesn’t it make sense for brushes to come in different shapes, too?